Gerard PIQUÉ is in China and on his arrival in Shanghai, he explained his love for the Chinese national game of table tennis. The Catalan defender took part in a class with Chinese students in which he explained some of his best kept footballing secrets. 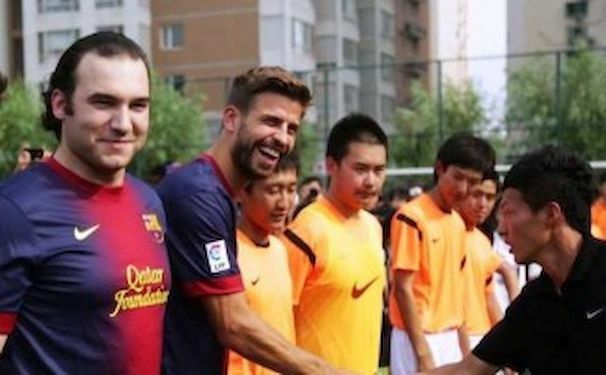 The Barça man is a great table tennis player, as well as a top footballer and during his visit to China he explained: “I’ve played table tennis since I was a child – though in the end I chose football as my sport”. The video of him playing table tennis with Cesc FABREGAS during the Euro 2012 tournament caused a sensation in China and the national Olympic coach, LIU Guolang praised his game.